I grew up as a skater and punk kid. And while many of the things from those days are in the past (most notably my hair and the Misfits t-shirts) the important things remain. That is, a certain kind of fearlessness and a DIY attitude. Being a skater meant making the city your own, seeing it in a different light and utilizing it in a different way than intended. No one built fancy skate parks back in those days, we had to steal the plywood ourselves. Which is nothing to be romanticized, it just happened to be that way. Now, many years later, I still at times ride my skateboard. But mostly I ride my bike. And now not only the city but the whole wide world is my playground. 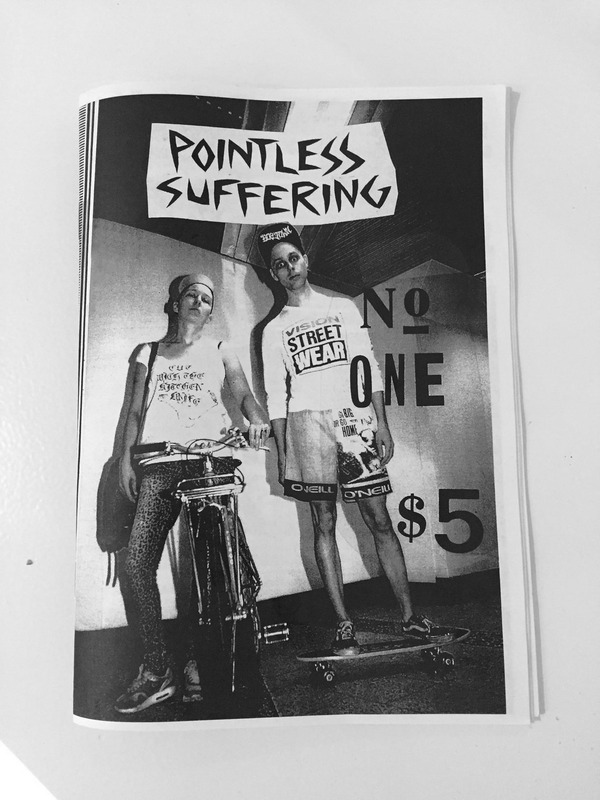 Kaisa and I wrote this small zine as a love letter to cycling. And we invited punks, both old and young, to join in on this project. Which resulted in the tape we included with our zine. It’s a multimedia experience for those born before the multimedia explosion. *ZINE + TAPE BUNDLE IS SOLD OUT!